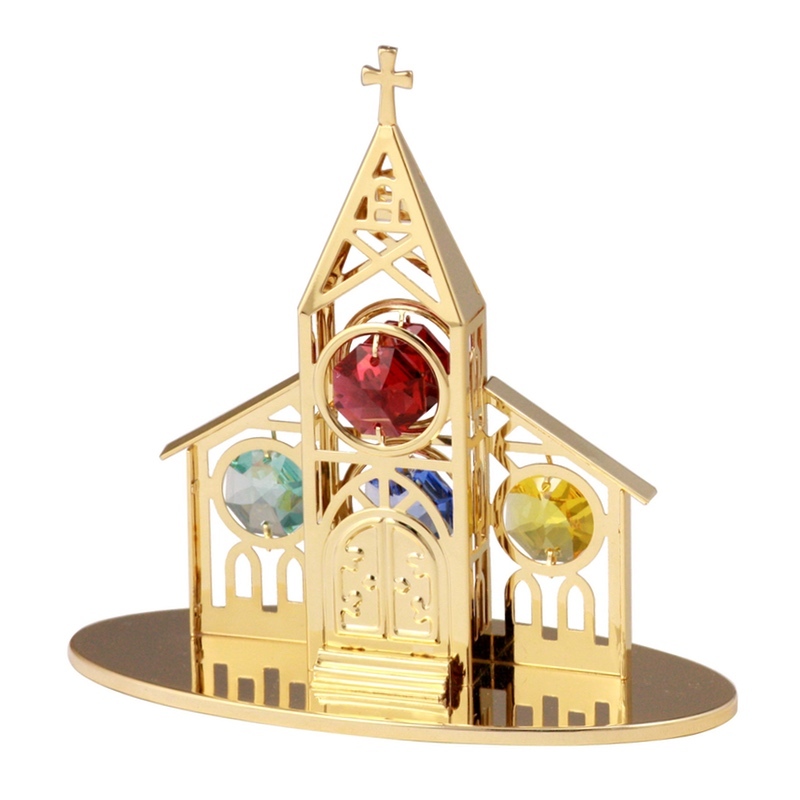 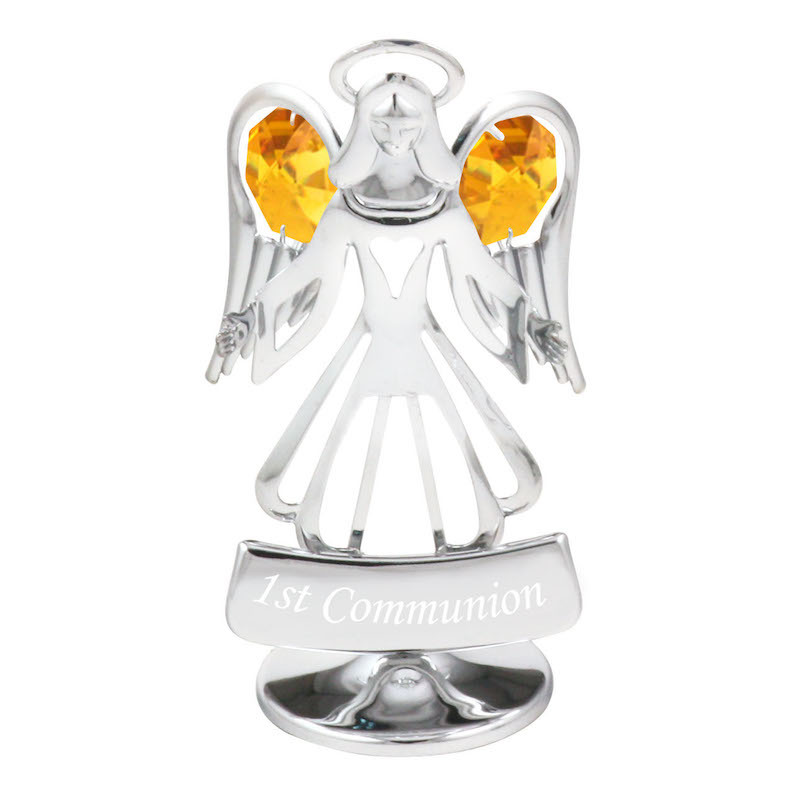 This Guardian Angel on Bible Crystal Figurine Holy Communion Gift is made with excellent metal craftsmanship. 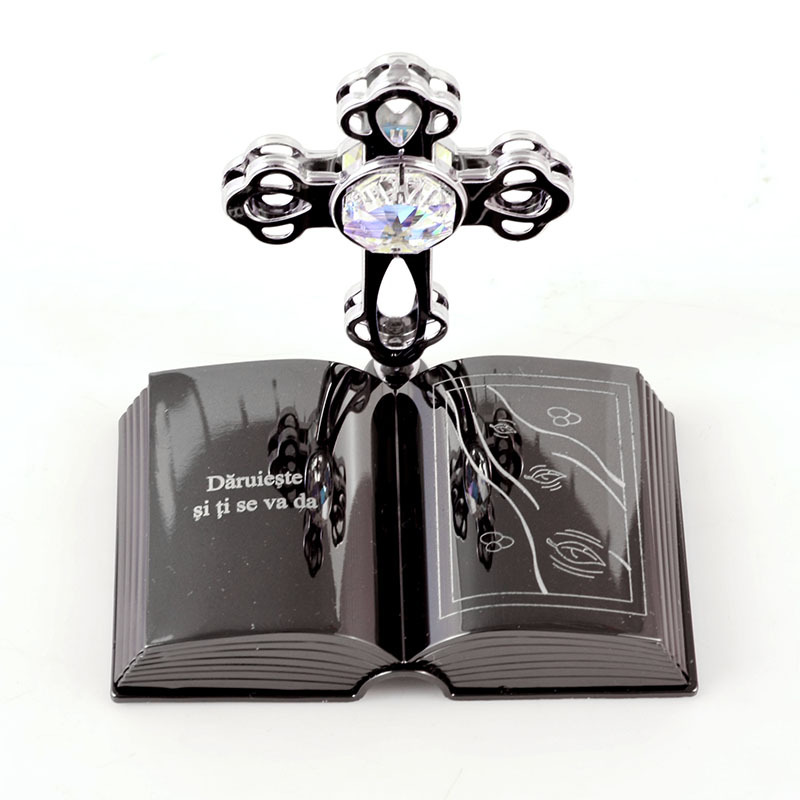 The angel figurine is plated in 24k gold, and the bible book is plated in gun metal finishing. 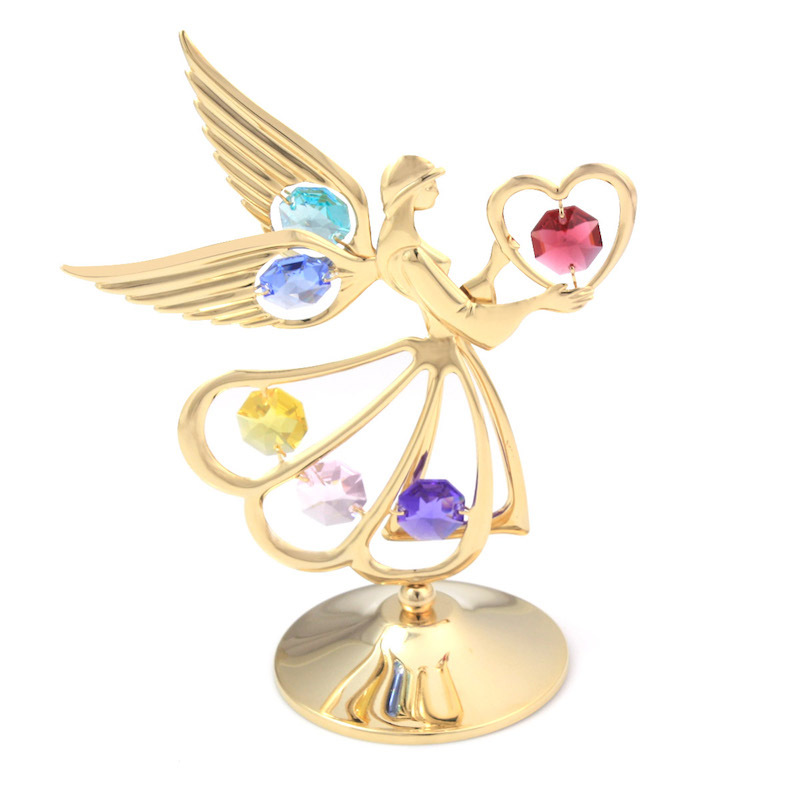 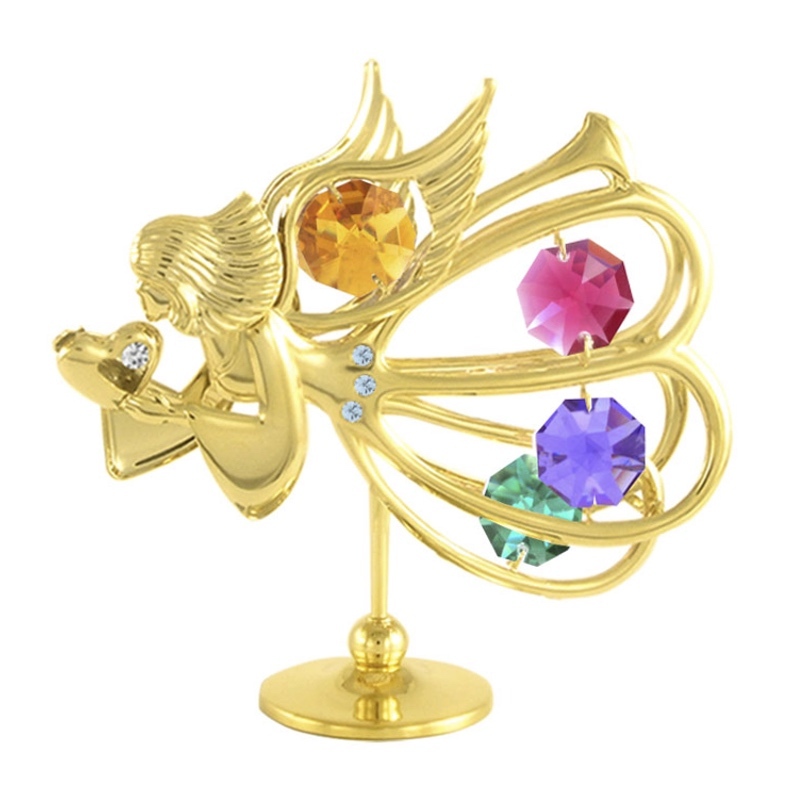 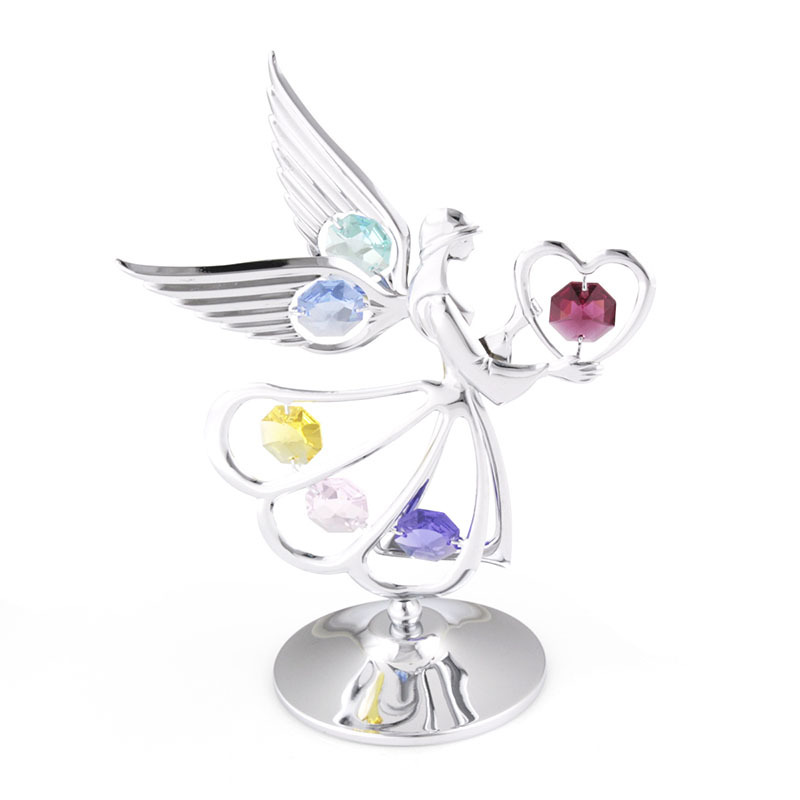 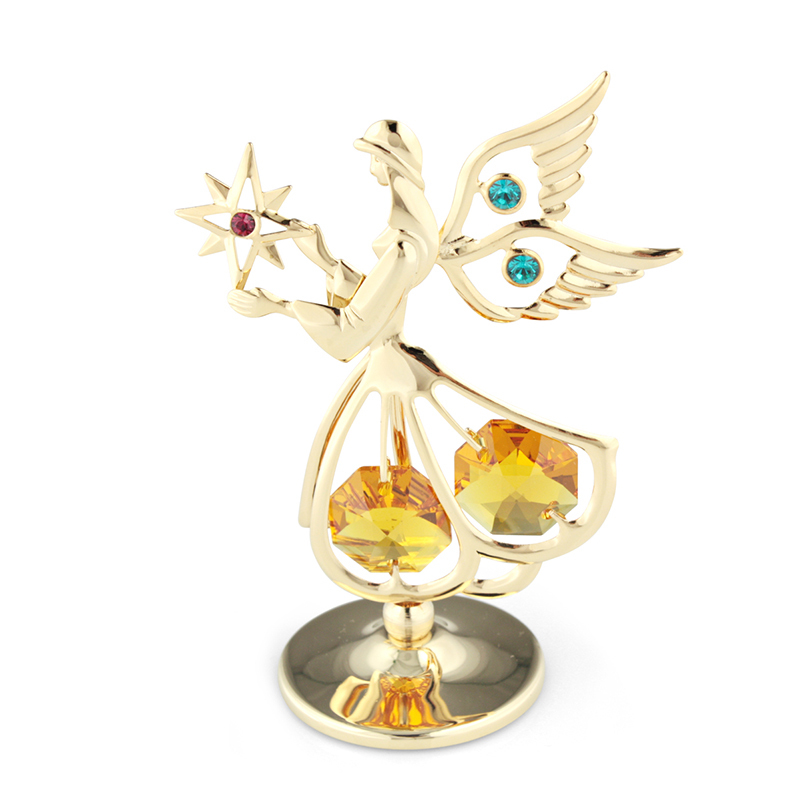 The Guardian angel figurine on Bible Crystal is decorated with 3 octagonal Swarovski crystals on the wings and the body. 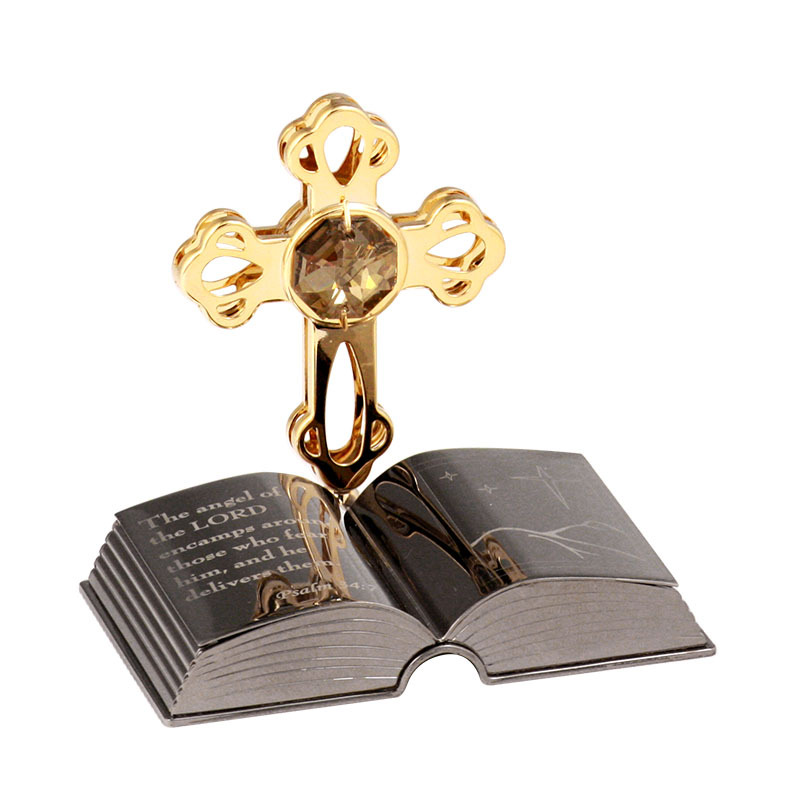 The bible book can be laser engraved with personalised messages and graphics.